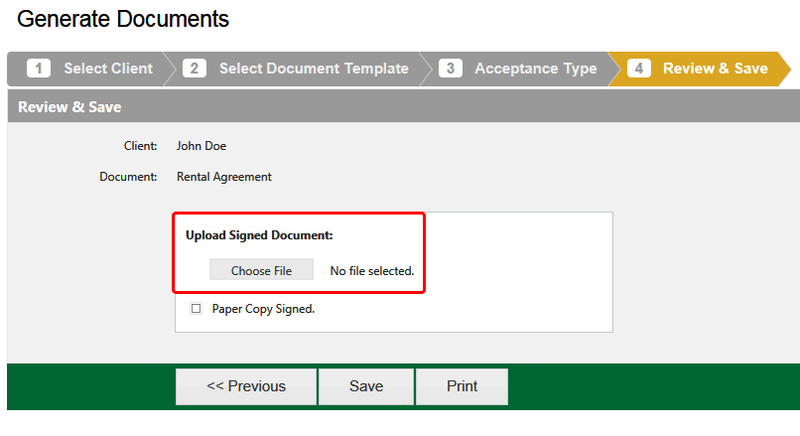 When using the Paper Acceptance Type, a physically signed document can now be uploaded into EZFacility. Browse and upload a PDF document by clicking Choose File. Please note: that the document being upload must be in PDF format. When I click on the Clients tab I only see 25 clients and not my entire database. Why is that?